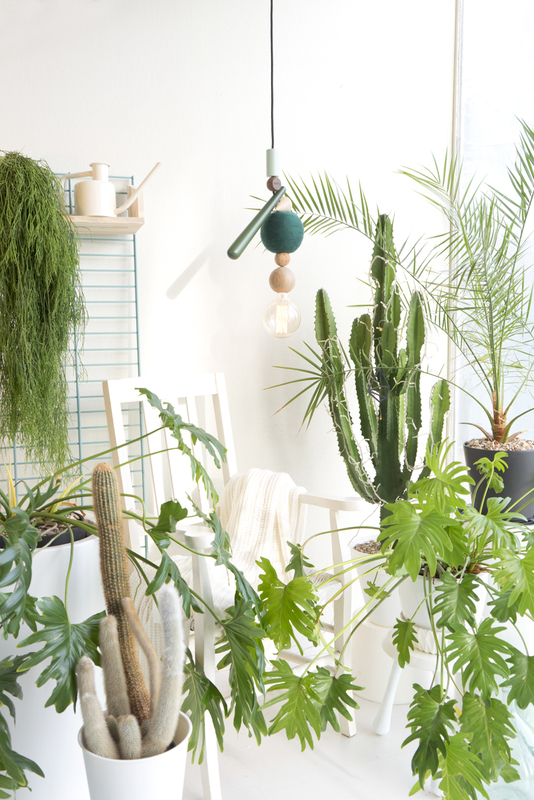 You might have noticed it in yesterday’s Urban Jungle Bloggers posts on JOELIX.com and Happy Interior Blog: For this month’s edition ‘Plants & Light’ we have teamed up with a young design label from Denmark called HAENG. 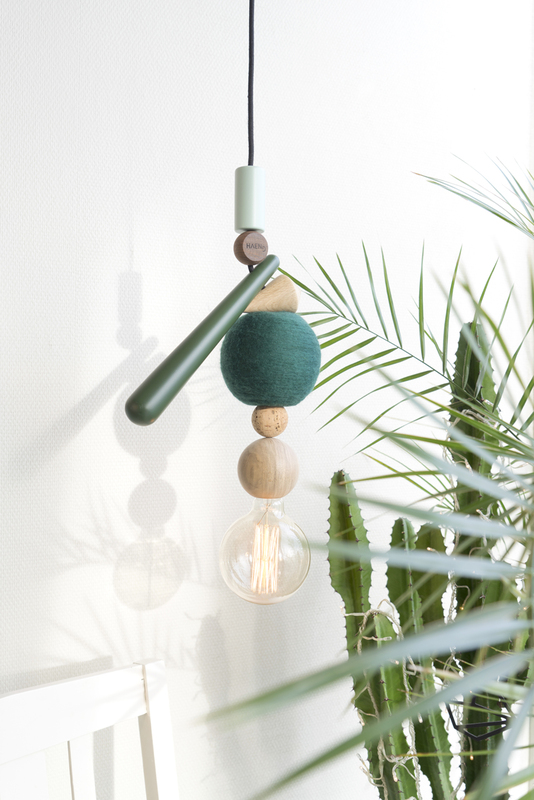 HAENG is the creative outlet of Jakob and Rune and stands for exquisite Scandinavian craftsmanship, high quality materials, playful designs and an inclusive design process. HAENG creates lighting solutions that can be as individual as their new owners! In this spirit we have createad an exclusive ‘Urban Jungle Bloggers Pendant’. The ‘Urban Jungle Bloggers Pendant’ is a very limited edition and only 10 pieces are available worldwide via the HAENG webshop. When we created the pendant we had the choice to choose among various elements, materials and finishings. 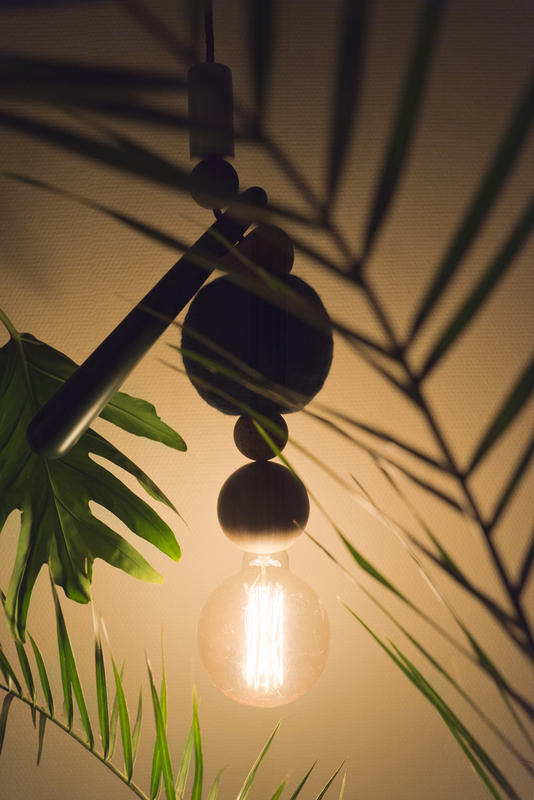 Our pendant light was created with reference to our plant love, respect to nature and our colours. 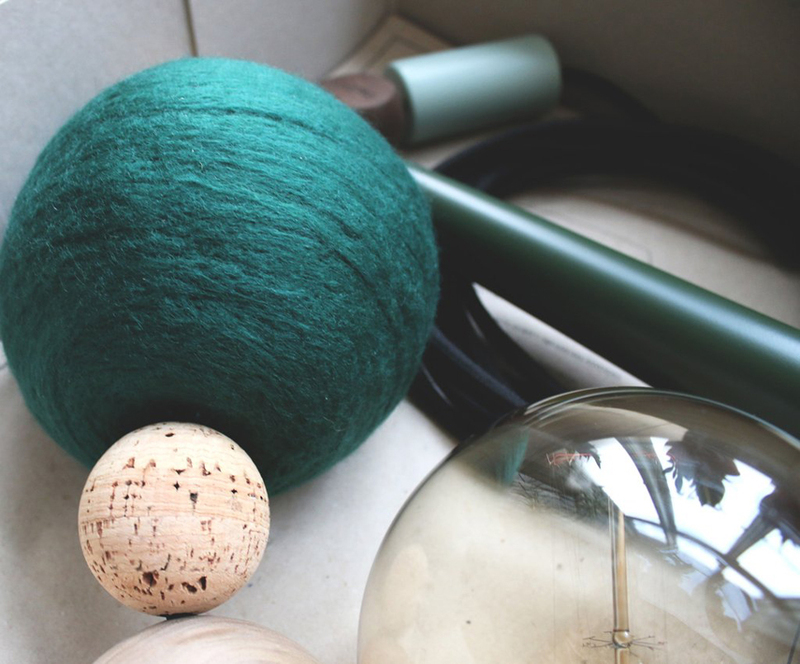 So you will find oak, walnut and wenge wood elements, a cork sphere as well as a merino wool felt sphere combined with a textile cable and an incandescent light bulb. 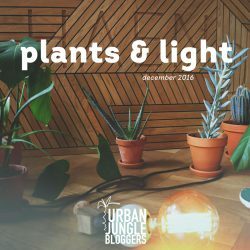 The colours are natural and green hues with a mint element to recall the Urban Jungle Bloggers logo of course:-) This UJB Pendant emits a warm and cosy glow and is wonderful when matched with your beloved houspelants. Whether you hang it from the ceiling, lay it on the floor or on a shelf, or else you fix it on a bar – the choices are as manifold as the design options for the HAENG lamps. We love this inclusive design process which enables you to customize the lamp of your choice to meet your style and likings. 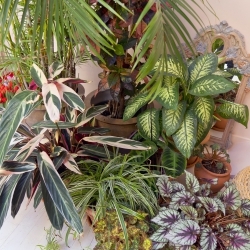 If you like the ‘Urban Jungle Bloggers Pendant’ as much as we do, be quick. There are only 10 lamps in the webshop and you can shop it right HERE. With this blog post we are signing off until January 2017. Expect lots of news and more green ideas soon. But for now we wish you a peaceful, quiet and merry festive season and a very happy and green new year!